After unveiling a viral teaser and first song #NamoNamo, the makers of #Kedarnath are out with a new poster and confirm that the trailer for the film will be released today. 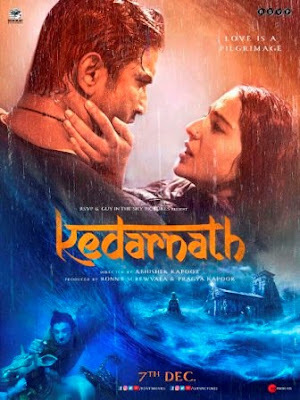 Abhishek Kapoor directorial Kedarnath stars Sushant Singh Rajput and Sara Ali Khan in the lead roles. The movie marks the debut of Sara, daughter of Saif Ali Khan. Earlier, the makers dropped the teaser of the film, which saw Sushant playing Mansoor, who is a Muslim Pithoo, while Sara is going to be seen essaying the role of a Hindu tourist named Mukku. The teaser starts with some brilliant shots showcasing the flood- hit Kedarnath. Sara Ali Khan looks promising and every frame of the teaser looks gripping. Kedarnath is a potent combination of love and religion, of passion and spirituality. The film is slated to release on December 7 this year.